I was kindly invited to speak about my work in September by Aidan Walker, curator of the Design Junction seminars. It’s always fun, if nerve wracking, to be asked to speak about what I’m doing with design storytelling and particularly with Creative Data. 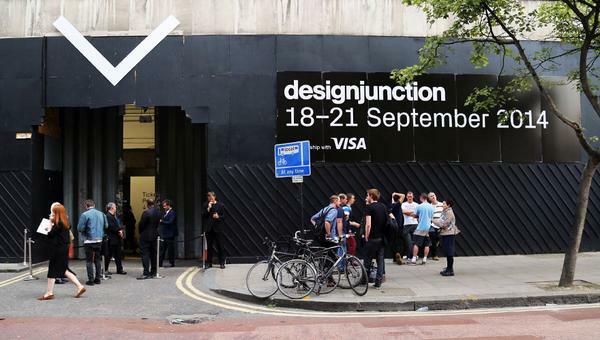 I was especially pleased to be speaking at a mainstream London Design Festival event such as Design Junction, rather than a sustainability side show. I think it’s good news that curators like Aidan are programming a diverse range of speakers that use environmental design at the core of their work. I was on stage alongside the NYC design firm UHURU who make beautiful furniture and interiors from sustainably sources materials. I think our different approaches contrasted nicely on the common theme of social and environmental awareness.